This fall I’ve been asked for a number of samples from other ski areas’ trail maps. 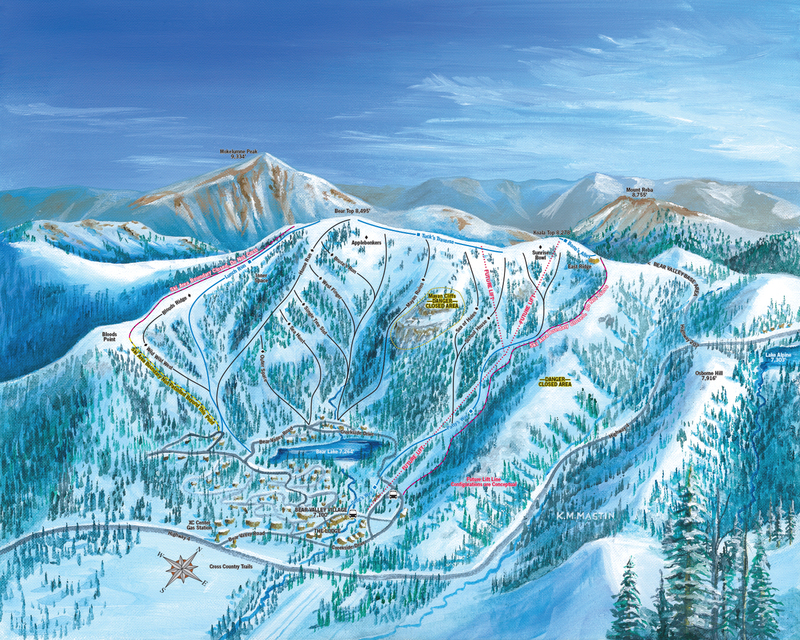 I don’t have all of my work here on the website, but I have been pulling up a few from the “archives.” Here’s one I did a couple years ago for Bear Valley Mountain in California. 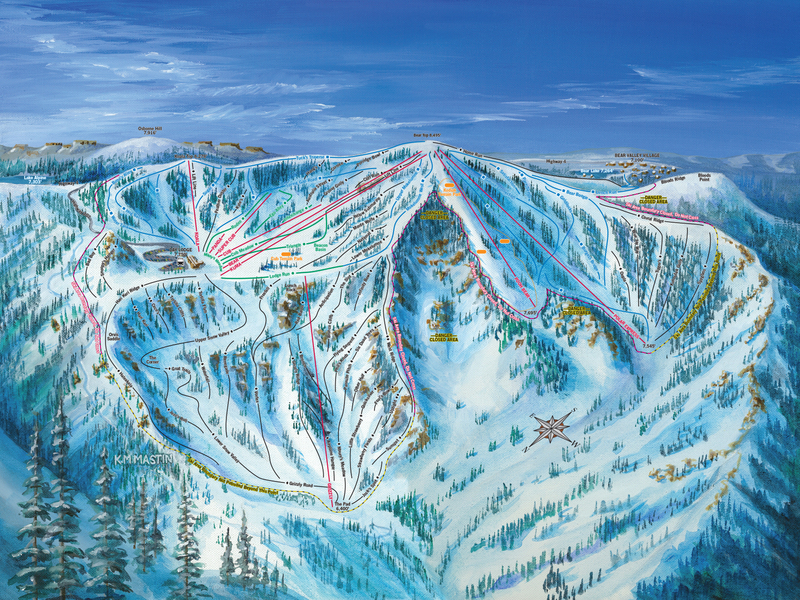 This is the main part of the mountain, Upper Mountain, Snow Valley, Grizzly Bowl and Bear West. and this is the newer expansion into Bear Valley Village. Doing the research for these maps can be a lot of fun! 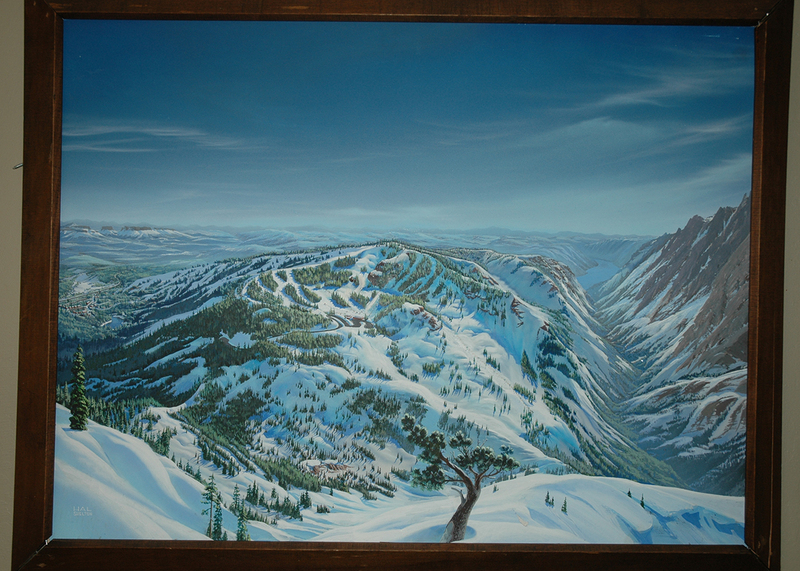 When the resort opened in 1967 it was called Mount Reba Ski Bowl. Some of earlier trail maps I found were illustrated by a great commercial artist, Bob Shedd. He had a very classic, “advertising-style” pencil and marker technique that I really like: simple, but very effective. I also came across this beauty by Hal Shelton. 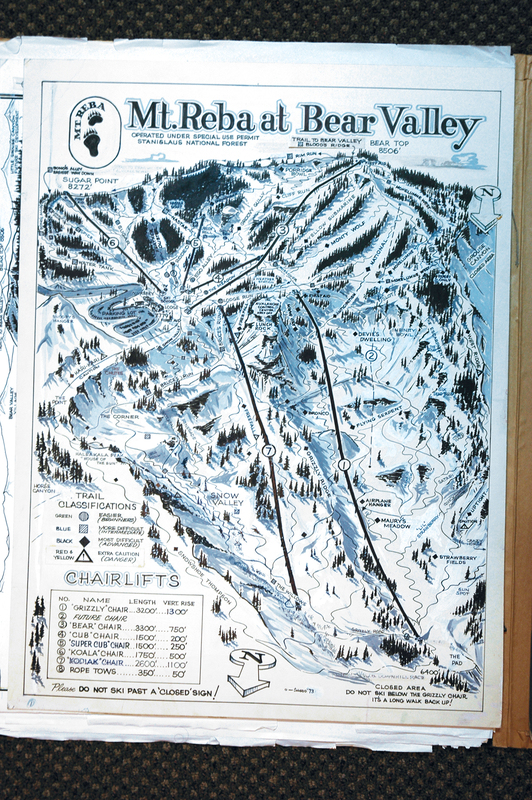 Shelton didn’t do nearly as many ski maps as Bill C. Brown or James Niehues, but the few he did were masterpieces.